Do you track brand mentions on social media? Would you like to know how your blog content can increase brand mentions on social media? Do you know what the top marketers have in common? They experiment and track everything using analytics. Analytics eliminates guesswork and tells them whether a certain marketing method or campaign is bringing them results. If it works they can repeat the process again. If it doesn’t they can immediately stop it. One way they track their marketing methods is by seeing how many brand mentions they are getting on social media. When your brand or products are mentioned more on social media, more people will learn about your company and products. This will increase your number of followers, traffic, leads and sales. There are several tactics you can use to increase brand mentions. They range from offline activities like television adverts to online activities like social media contests. You can even increase brand mentions inexpensively with your blog content. If you create a lot of helpful blog content you will naturally get a lot of shares. 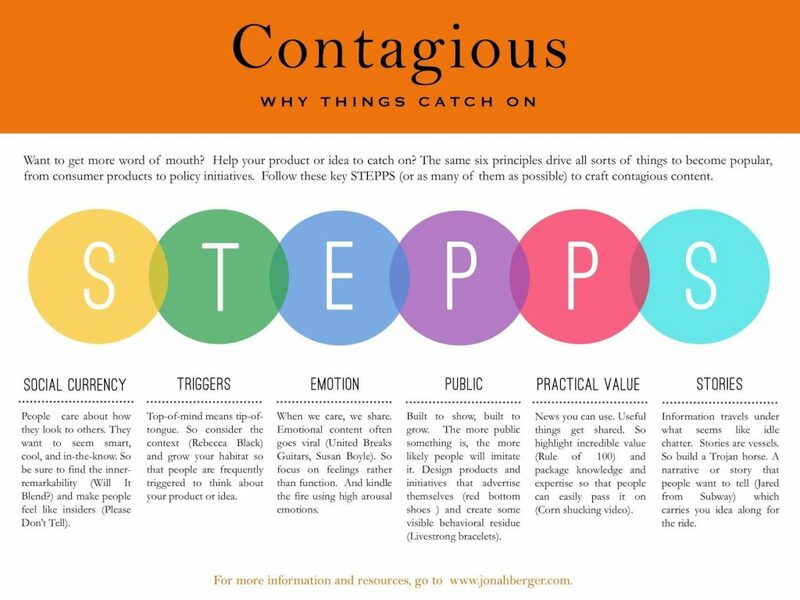 In his book Contagious, Jonah Berger mentions that from his research he found that one of the factors that increased the number of times content is shared is practical value i.e. useful information. Therefore, if you are creating useful content you will get a lot of shares. You can ensure that your brand is mentioned every time your content is shared by setting the share buttons to mention your tag/handle and including your blog/brand name in the meta title(tag). An example is this post on social media marketing from Neil Patel. When I click on the tweet button in the blog post, Neil Patel’s Twitter handle appears in the tweet description. But your Twitter handle won’t appear in the tweet description if someone shares it with a browser extension. 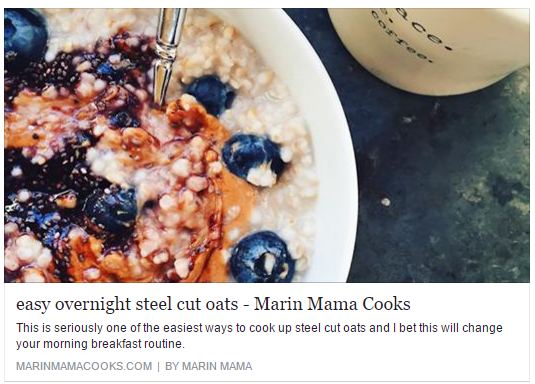 You can counter this by just writing your blog or brand name in the post’s meta-title like in this post on steel cut oats by Marin of Marin Mama Cooks. While sharing it with the Hootsuite browser extension, both the blog title and the name of the blog appear as you can see above. Adding your brand name to the meta-title will ensure that it is mentioned on other networks like Facebook too. 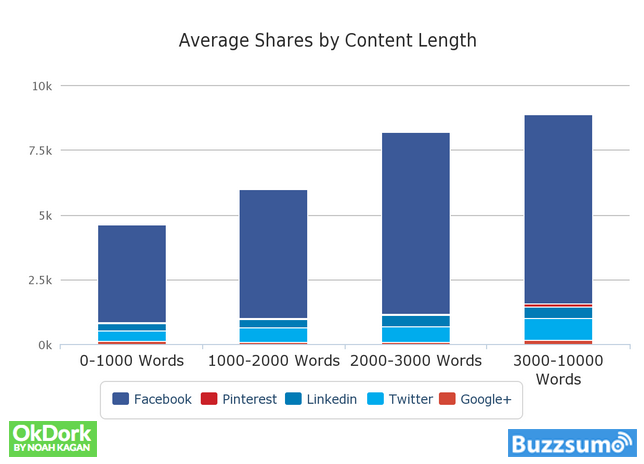 By analysing 100 million articles Buzzsumo found that longer articles get more shares. As you can see from the above graph, as articles go over 1,000 words in length they get more and more shares. Those between 3,000 and 10,000 words get the highest. So keep your articles at these lengths to get more brand mentions with your blog. You need to add share buttons to your blog posts as a study by Brightedge found that sites that add share buttons get nearly 7 times more mentions on Twitter than those that don’t as people frequently use these buttons to share. So make sure you use a good plugin like Shareaholic or Sumo (formerly known as Sumome) and add attractive share buttons to your website. Place them both at the top and the bottom of the post. You can also add the floating share buttons that appear on the left side of the article all the time. Another effective share button to experiment with is the ‘Click to Tweet’. You can see it in action on the Content Marketing Institute blog posts. Buzzsumo also found that when you add images to your posts you get more shares on both Twitter and Facebook. When you add images people can also share them on Pinterest, which is a highly viral social network. So add some images to your blog posts to increase shares. You can ensure that these shares will also increase brand mentions by branding your images with your brand name, logo or website URL. You can track these images using an image tracking tool like Curalate. 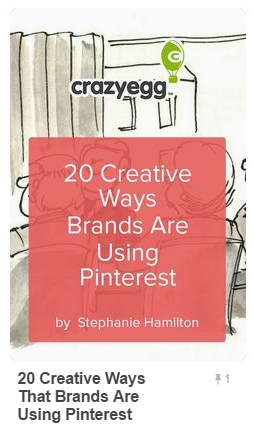 An example of a blog that brands its images really well is Crazyegg. Every time this image is shared on social media, that big logo ensures that their brand is mentioned. A tool you can use to create highly shareable content is Clearvoice. This tool will make it easy for your to create popular content that gets more mentions through shares with ease. You can first use it to find trending topics. After that you can create a project, set a price and invite experts to create blog posts or any other content on that topic. While the freelancer creates your content, people on your team can offer feedback to make sure your posts are highly shareable. You can even invite people outside your company (like influencers) to offer feedback on the content. This ensures that you publish content that drives more brand mentions, shares, traffic and revenue. 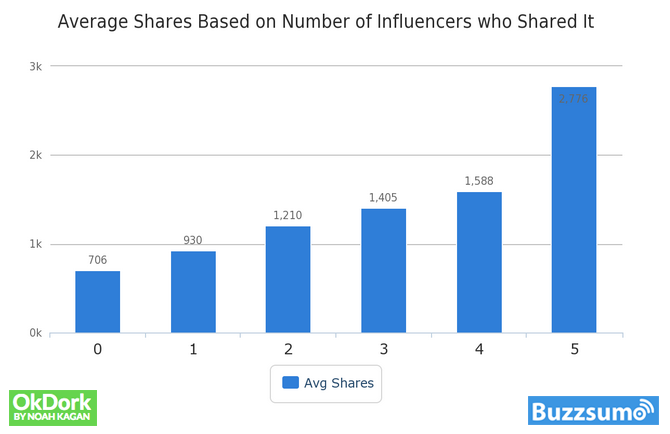 Buzzsumo also found that when an influencer shares your content, it gets you 31.8% more social shares and when 3 influencers share it, the number of shares double. Therefore, if you build relationships with influencers you will get more mentions as a result of all those shares. One of the best ways to do this is with your blog. Earlier, the Buffer blog only shared tips on social media marketing as their tool is all about helping people manage their social media channels better. But later, Leo Widrich, the co-founder of Buffer, came across the Content Marketing Manifesto by Rand Fishkin. One of the slides made him realize that he shouldn’t just create content that his target audience wants to read, but also the people (influencers) his target audience interacts with. So the Buffer content marketing team began creating content on topics like creativity and psychology as influencers who influenced his audience were interested in these topics. Once he did this, influencers began sharing his content and it quadrupled their social reach as it went up from 250 per post to 1,000. So if you create content influencers will be interested in, they will share your content to their thousands of followers and increase brand mentions. But to get several influencers to share your posts, just creating content they like is a small part of the formula. You will need to have an outreach strategy that will get them to know that you and your great content exist. As you need a favour from them, you need to first do a favour for them. You can easily do this by sharing their content on social media, linking to their blog posts, promoting their case studies, inviting them to your podcasts, asking them to contribute to your round-up posts and several other things that will benefit them. After you do this you need to contact them and ask them to check out your blog post and share it if they enjoyed reading it. Don’t be discouraged if they don’t share your content or don’t even respond to you as this is a numbers game. They are very busy people so for every 10 influencers you contact maybe 1 or 2 will share your work. When you have more followers, you will naturally get more brand mentions as more people will reshare your content and mention you in the process. One of the best ways to build this following is with your blog content. 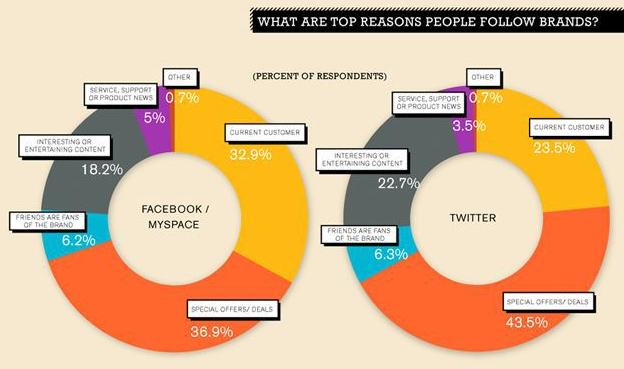 As one of the top 3 reasons why people follow a brand is because they are interested in the content. So if you are creating good content on your blog, you will gain more followers which will result in more mentions. You can ensure that more of your blog visitors convert to followers by adding social media follow buttons all over the prominent places on your blog. The best places to add them are the header, footer and sidebar. 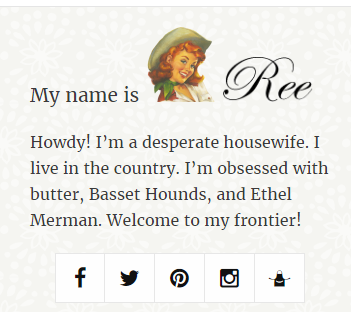 A blog that makes the most out of follow buttons is the The Pioneer Woman. You will find them both on the sidebar and the footer. If you want to be certain that your blog content is getting you more brand mentions and helping you get more shares and followers (and not something else), you need to constantly track mentions online. For this you will need a good social listening tool like Awario that tracks both handle mentions and keywords as you can see in the above graph. A regular monitoring tool won’t do this. Another advantage of using Awario is that it shows you which social networks are getting you the most mentions. These are all the ways your blog content can increase brand mentions on social media. If you follow the above tips, you will also get more shares and mentions, build relationships with influencers and even gain more followers. This, in turn, will help increase both traffic and revenue. Are there any other ways that blog content can increase brand mentions? Would you like to share them with us? Please leave your comments below. Adi is a Social Media expert with a thing for startups and innovation. She has a knack for leveraging various social media platforms and tools to help businesses reach out and engage with their customers.